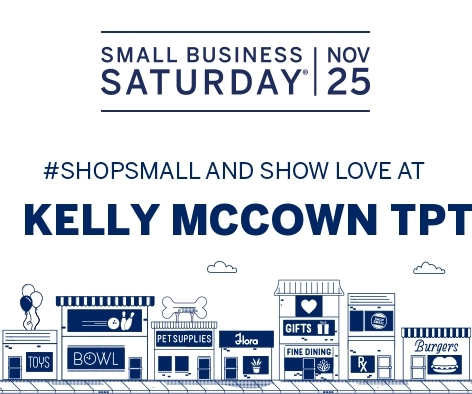 Shop small businesses this Saturday November 25, 2017. Save 20% OFF today ONLY in my TPT Store! I'm one teacher with a small business. My passion is to share teaching resources with other teachers to reach all students. All my teaching resources are 20% OFF today for #SHOPSMALL Saturday!